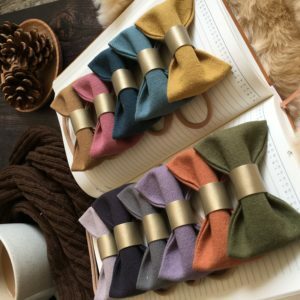 The littlest of things is a Sheffield based independent hair accessories brand established in October 2016. 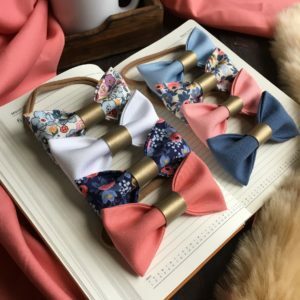 Lovingly hand made, these elegant, dainty bows are available in a range of exquisite soft fabrics which will complete your little lady’s outfit perfectly. Whether you are looking for a new baby gift or something special to pop in your hospital bag for newborn baby daughter’s coming home outfit, you need look no further than The Littlest of Things. Whilst perfect for newborns, the one size, super soft “forever” headbands will grow with baby meaning their bow collection cannot be outgrown, indeed, as they fit adults also, you may want to indulge in some Mother and Daughter “twinning”. All bows are also available on clips or on bobbles. Hair clips are a popular choice for older toddlers and school aged girls looking for beautiful, high quality hair accessories.